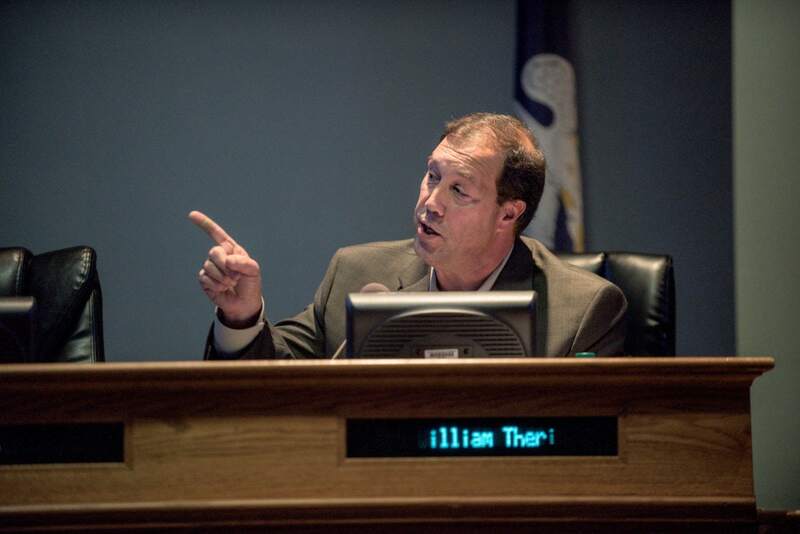 William Theriot opposes tax exemption programs that advantage some businesses and leave others out. Stuller sought roughly $100,000 in property tax abatement over 10 years, through the state’s Industrial Tax Exemption Program. The jewelry manufacturer’s application claimed a $1.7 million investment in its manufacturing operations that would add six jobs to its existing local workforce of around 1,200. A council skeleton crew of five, exercising the relatively new power to approve ITEP applications, voted unanimously to reject Stuller’s application and that of Advanced Products and Systems, a Scott-based manufacturer in front of the council for the second time this year. Growing resentment on either flank could pressure politicians, locally and nationally, to halt or rein in incentive programs. Consider that the last four ITEP applications to come before the council were rejected. For decades, ITEP was a rubber stamp. Until 2016, that is, when Gov. John Bel Edwards reformed the program by executive order, requiring applicants to show some job growth and empowering local taxing bodies to approve the exemptions. Critics of ITEP argue the state was wheeling and dealing with local money. Together Louisiana, an advocacy group organized to fight ITEP, claims the program exempted $4.9 billion in property taxes for companies statewide in 2016. $3.7 million. That’s the total amount of exemptions Stuller has claimed through the program over the last 10 years, according to The Advertiser. Tax Assessor Conrad Comeaux said Tuesday night that the actual amount is lower, given the program accounts for depreciation. $17 million. That’s Stuller’s property tax bill over the last 10 years, according to Comeaux. Coming up short of an endorsement, the assessor defended the program in remarks to the council, noting that $33 million in parish tax revenue is “lost” to the homestead exemption each year, versus around $2.5 million annually to ITEP. $89 million. That’s the local household income produced by Stuller’s payroll, according to Stuller CIO Michael DeHart. The council’s vote sends a message. Depending on which side of the spectrum you’re on, it’s a good or bad one. Some fear the vote will have a chilling effect on business recruitment down the line. That problem, they say, is exacerbated so long as companies don’t know what the rules of the road are in Lafayette Parish. Others believe it’s high time the program was stopped. “We have to provide a level of certainty to companies so they know the financial implications of their investments in our area,” says Jim Bourgeois, One Acadiana’s executive vice president for economic development. Some parishes have adopted a uniform approach, according to Councilman Bruce Conque, who voted against the Stuller and APC exemptions. Conque says he believes ITEP should be used to recruit new businesses rather than expand existing ones. 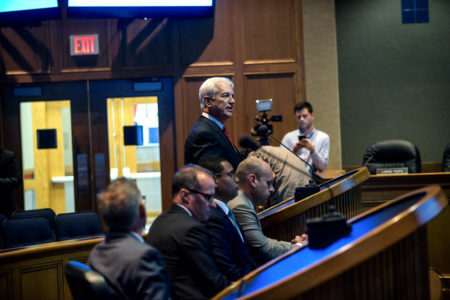 Conque said Tuesday night that there lacks a “coordination of efforts” among the local taxing authorities that now have a seat at the ITEP table — LCG, the Lafayette Parish School Board and the Lafayette Parish Sheriff’s Office. Conque tells me Sheriff Mark Garber was unaware of his authority on ITEP as recently as early this year. Lagniappe. Should Saturday’s proposition to create separate city and parish councils succeed, ITEP applicants could be denied by either the city or the parish council. 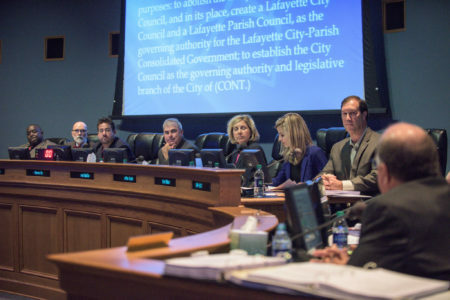 The gist: At last week’s presentation to the Lafayette Public Utilities Authority, NextGEN officials indicated with confidence that LUS’s hundreds of employees need not worry about their civil service protection if NextGEN takes over management of the public utility. 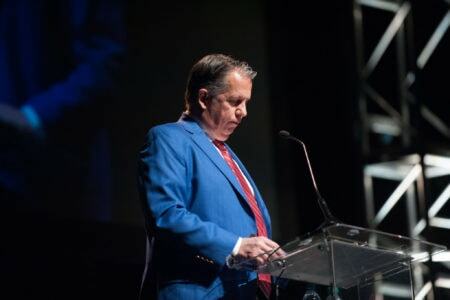 The gist: Mayor-President Joel Robideaux will not seek re-election, he announced in a press conference Friday morning. Over the past year, his administration has battled a string of controversies, leading some political observers to view him as a weakened incumbent.